GovInn’s Associate Fellows Wytske Chamberlain and Ward Anseeuw published the Open-Access article ‘Inclusive Businesses and Land Reform: Corporatization or Transformation?‘ in the journal Land. Inclusive businesses (IBs), embodying partnerships between commercial agribusinesses and smallholder farmers/low-income communities, are considered to contribute towards rural development and agricultural sector transformation. Structured as complex organizational set-ups consisting of, and overcoming the limitations of, standard inclusive instruments (collective organization, mentorship, supply contract, lease/management contract and equity), they allow for the inclusion of smallholders and low-income communities into commercial agricultural value chains. IBs are a way for governments to engage private agribusinesses in agricultural and rural policies. However, will the commercial sector, through IB partnerships, contribute towards the government’s transformation and developmental objectives? Based on case studies in South Africa—a country engaged in land and agrarian reforms—the effects of IBs at the project level appear positive, illustrated by an increase in production and growth in agricultural assets. However, individual beneficiaries experience only a marginal change in income and livelihoods. Whereas land reform, project development and market integration are generally achieved, the transformation and beneficiary development objectives are compromised. 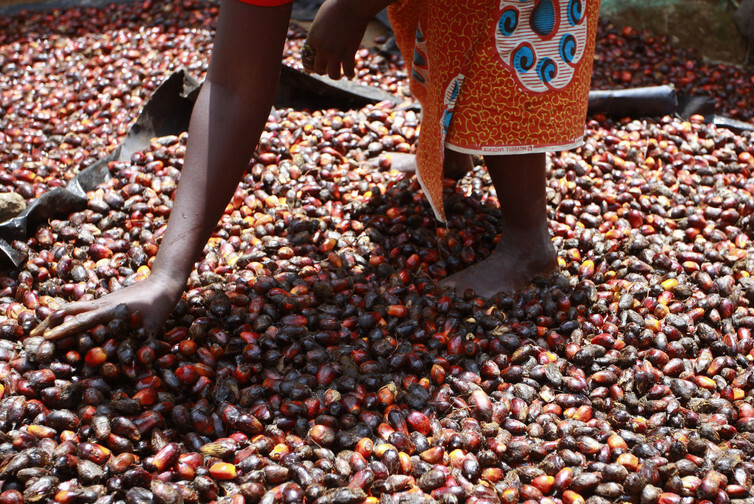 Although commercial agribusinesses contribute to investment needs in the sector and smallholder exposure to commercial markets, IB partnerships allow commercial entities control over the smallholders’ assets. Ownership and secure rights, especially of land, and support of external parties to capacitate beneficiaries and adjust power asymmetries, are essential starting points. Without these aspects, IBs will not lead to effective transformation and development. 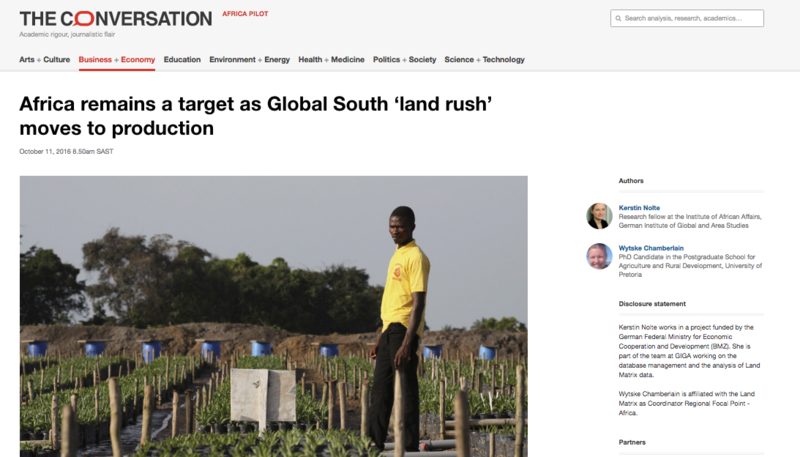 Bruno Losch, lead political economist at CIRAD and co-director of GovInn, based in Govinn’s Cape Town office at the University of the Western Cape, was host of Africa Live broadcasted by the China Global Television Network (CGTN). In the video he discusses the recent NEPAD atlas on the emerging new rural Africa he coordinated last year and which was presented at the last AU Summit of the Heads of State in Addis Ababa. In this interview he insists on the importance of reshaping over-segmented public policies towards territorial approaches and local development. 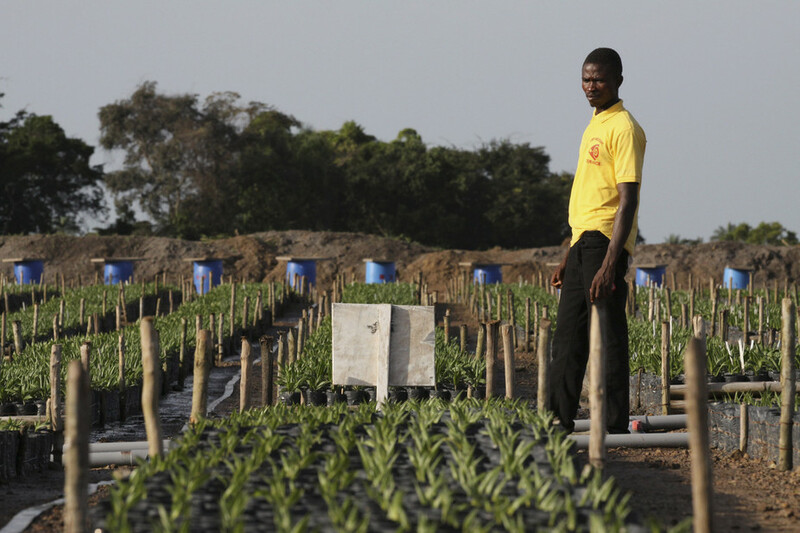 A man stands by seedlings at the Sierra Leone plantation of Lichtenstein-based firm, Socfin. ReutersIn 2007, a spike in commodity prices triggered a sudden increase in demand for agricultural land across the world. It was believed that commercial investors in the Global North speculated on a rise in land and commodity prices. And governments aimed to ensure food security without dependence on the volatile world commodity market by buying up land, largely in the Global South. Now, almost ten years have after the term “land grabbing” first entered the popular imagination, large-scale land acquisitions remain shrouded in secrecy. The Land Matrix Initiative aims to shine some light in the deals by providing open access to information on intended, concluded, and failed land acquisitions that have taken place since the year 2000. Over recent years, both the quality and the quantity of the data have improved considerably. This led us to take a fresh look at the current trends in international large-scale land acquisitions. The Land Matrix records more than 1,000 deals covering 26.7 million hectares of contracted land, equal to about 2% of the arable land on Earth. Most of these deals cultivate pure food crops, and crops that have multiple uses, such as oil seeds. Palm oil is the single most important crop driving large-scale land acquisitions. One of the most striking things we found about land deals is their increasing rate of implementation. While speculation was discussed as one of the main drivers of the “rush for land” in earlier years, our data indicates that about 70% of the deals have now started activities on the ground. Compared to previous figures published in 2012, the number of operational projects has almost doubled. For most deals, it takes less than three years to enter the production phase. For a subset of deals – 330 out of 1000 – we are familiar with the area under production. This means we are able to look into the implementation of these deals over recent years. The chart above shows that while the area under contract increased rapidly since 2004, (red bars), the area under production has only increased since 2011 (blue bars). Today, about 55% of the contracted area is under production. Africa remains the most important target area of land acquisitions, with deals concluded in many countries across the continent. Africa accounts for 42% of the deals, and 10 million hectares of land. 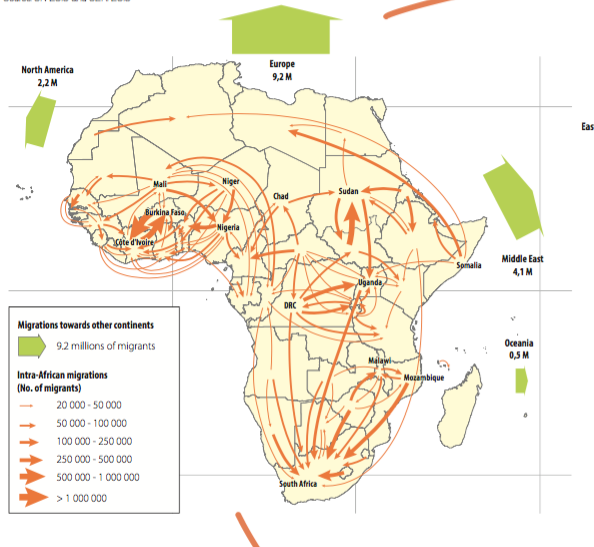 Land acquisitions are concentrated along important rivers such as the Niger and the Senegal rivers, and in East Africa. The second most important region is Eastern Europe, mostly due to the large average size of land per deal: 96 deals covering 5.1 million hectares of concluded deals. One single deal in Ukraine by the company UkrLandFarming covers an area of 654,000 hectares alone. Another emerging trend is that investors from the Global South have gained in importance. Malaysia is now the leading investor country, with Singapore at number four (the USA and UK are second and third). Global South investors show a strong preference for investment in their own region. Most investors are still based in Western Europe, and their interests in 315 concluded deals cover nearly 7.3 million hectares. Private sector investors account for more than 70% of the concluded deals. So we know that governments are not the main driver of large-scale land acquisitions. But investors are part of complex chains, which often include state-owned entities. This means the indirect impact of governments through these entities, and also through policy and trade agreements, is likely bigger than what we can see in the data. We find that land acquisitions take place in relatively highly populated areas, dominated by existing croplands. About one-third of the area acquired was formerly used for smallholder agriculture – implying an increasing competition over land use between investors and local communities. We will only see the full impact of the deals in years to come. Positive impacts of large-scale land acquisitions generally include more local jobs and better access to infrastructure. On the negative side, loss of access to land and natural resources, increased conflict over livelihoods and greater inequality are frequent issues. 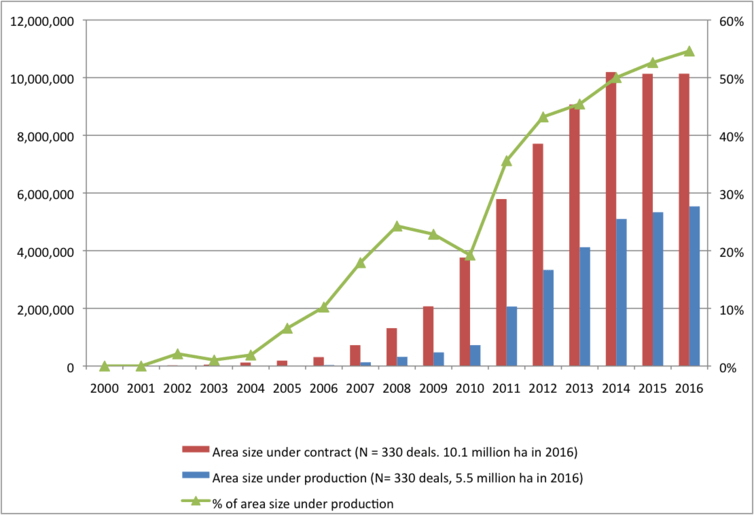 Given their increasing rate of implementation, the topic of land acquisitions remains hugely important, with many deals entering the production stages for the first time. The fact that land deals often target areas that have been used before hints at considerable socioeconomic and environmental implications for the target regions. And the more we know about these deals, the better we can understand how they will affect local people. Venue: GovInn Headquarters, Old College House, University of Pretoria Main Campus (Hatfield) RSVP essential: https://goo.gl/forms/bOuQV5AgYjcWI8XO2 by 10 October 2016. Around the world, 26.7 million hectares of agricultural land have been transferred into the hands of foreign investors since the year 2000. This means that these investors possess approximately 2 per cent of the arable land worldwide, or roughly the equivalent to the total area covered by United Kingdom and Slovenia together. This finding comes from a new report entitled Land Matrix Analytical Report II: International Land Deals for Agriculture, to be released on 11 October worldwide. The report provides detailed information on who is buying up farmland in which regions of the world and how this land is being used. It also highlights the economic, social, and political impacts of land grabs. “This report is very relevant considering the recent decision by the International Criminal Court to hold company executives, politicians and other individuals criminally responsible for environmental destruction and land grabbing,” said Wytske Chamberlain, University of Pretoria researcher who will present the report along with Land Matrix coordinator Saliou Niassy. The Land Matrix is a global and independent initiative that collects data on land acquisitions in low- and middle-income countries. Its goal is to promote transparency and accountability in decisions over land and investment. It is coordinated by a network of international research institutions and organisations. 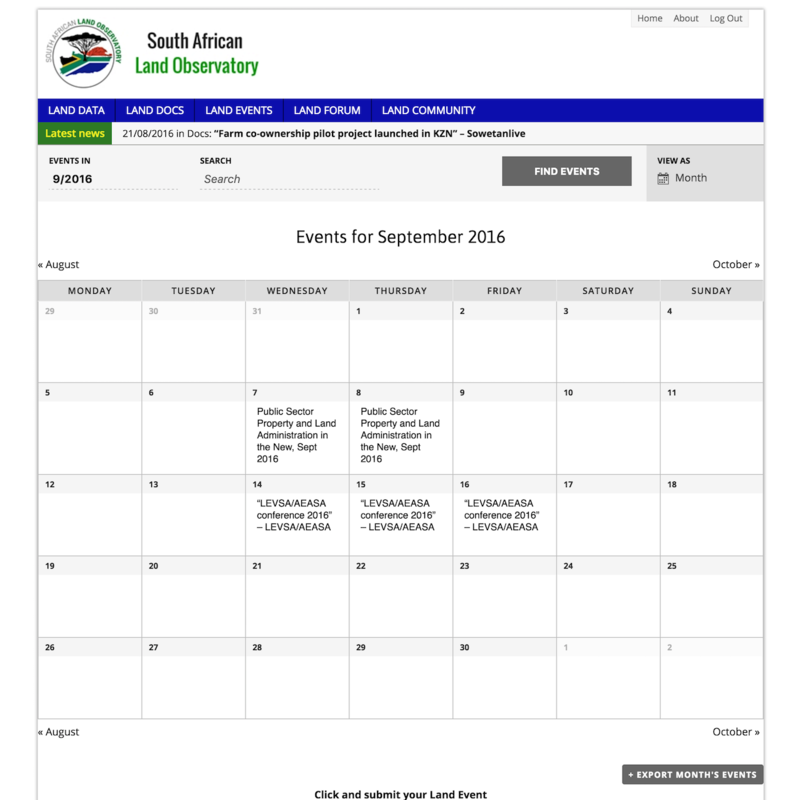 GovInn welcomes the opening of the South African Land Observatory (SALO), an initiative that promotes evidence-based and inclusive decision-making over land resources in South Africa. SALO offers people and organisations an accessible, open-data and open-source online hub for informed debate and interaction. 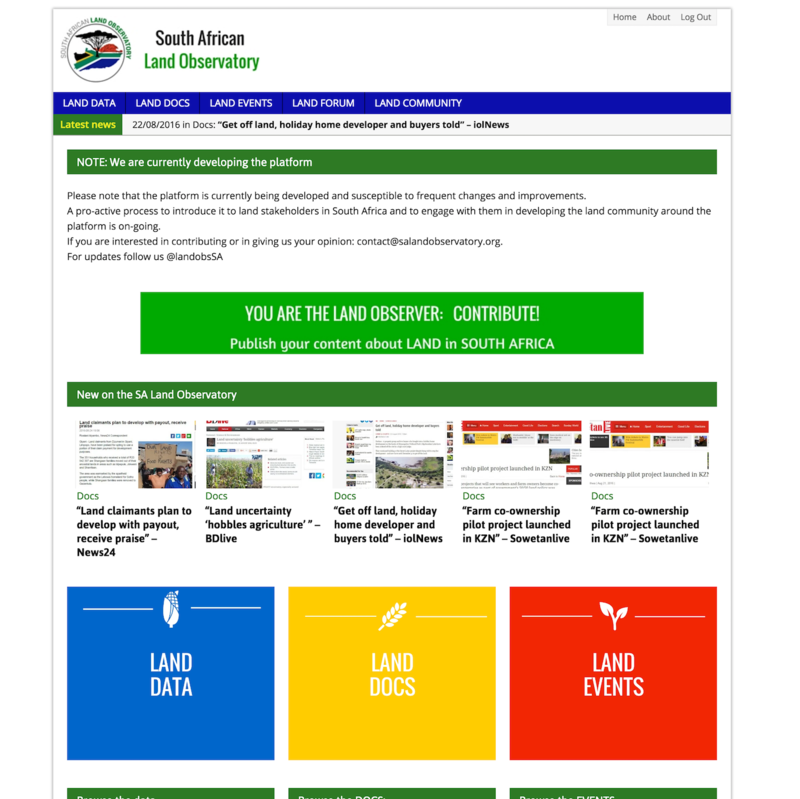 The initiative makes user-friendly land-based information available to all stakeholders with the aim of creating an informed land community in South Africa, through facilitating access to data, information and networking. 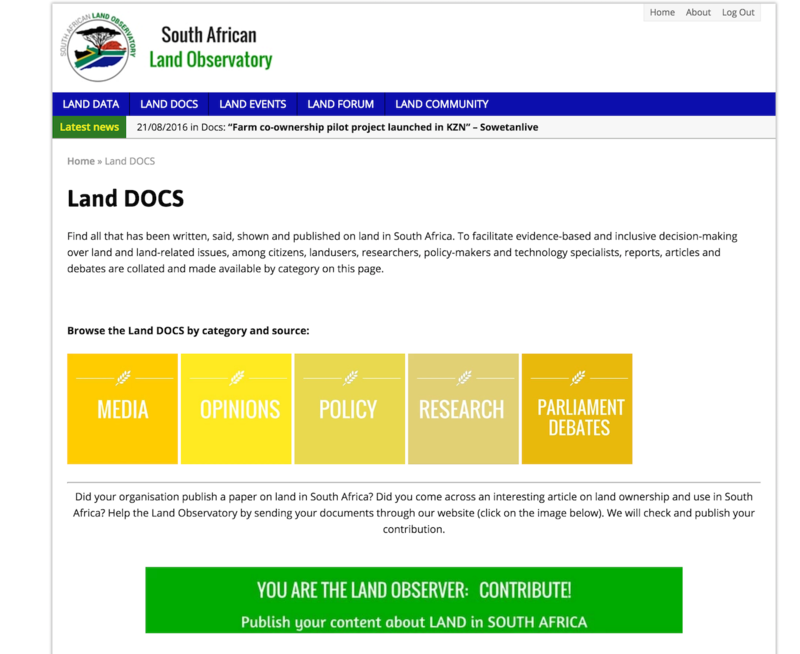 It is a one-stop help desk for the land community to debate the pressing questions of land ownership and land use in South Africa. The platform, as it is seen now, is only a starting point. The website is participatory, populated through crowd-sourcing information for accuracy and updating by relevant stakeholder participants. 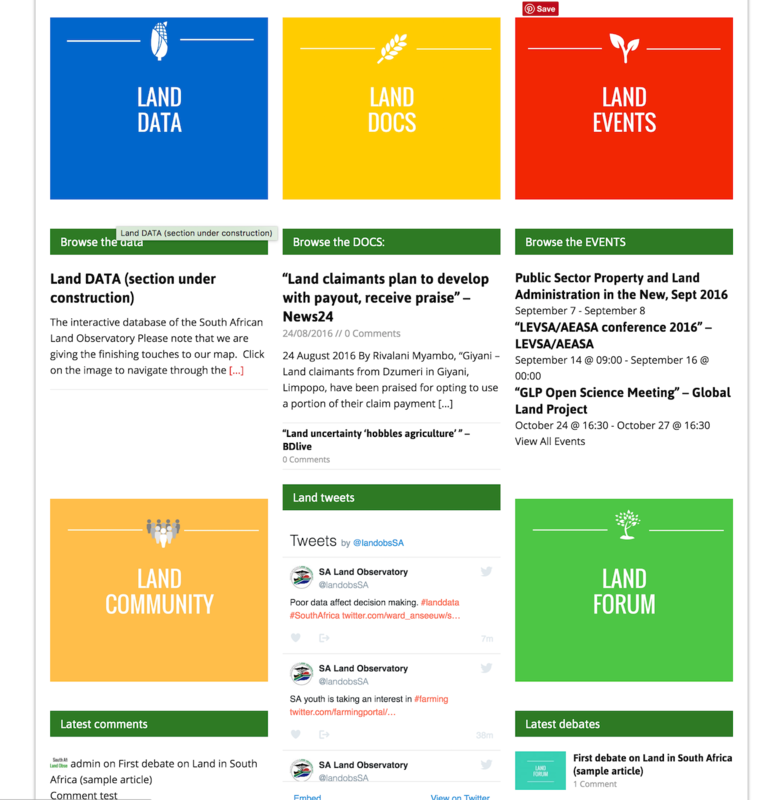 We invite you to join the land community for debates, information exchange and networking for a participatory governance of land: Contribute here! A pro-active process to introduce SALO to land stakeholders in South Africa and to engage with them in developing the land community will follow shortly. Medium-scale farms have become a major force in Malawi’s agricultural sector. Malawi’s most recent official agricultural survey indicates that these account for over a quarter of all land under cultivation in Malawi. This study explores the causes and multifaceted consequences of the rising importance of medium-scale farms in Malawi. We identify the characteristics and pathways of entry into farming based on surveys of 300 medium-scale farmers undertaken in 2014 in the districts of Mchinji, Kasungu and Lilongwe. The area of land acquired by medium-scale farmers in these three districts is found to have almost doubled between 2000 and 2015. Just over half of the medium-scale farmers represent cases of successful expansion out of small-scale farming status; the other significant proportion of medium-scale farmers are found to be urban-based professionals, entrepreneurs and/or civil servants who acquired land, some very recently, and started farming in mid-life. We also find that a significant portion of the land acquired by medium-scale farmers was utilized by others prior to acquisition, that most of the acquired land was under customary tenure, and that the current owners were often successful in transferring the ownership structure of the acquired land to a long-term leaseholding with a title deed. The study finds that, instead of just strong endogenous growth of small-scale famers as a route for the emergence of medium-scale farms, significant farm consolidation is occurring through land acquisitions, often by urban-based people. The effects of farmland acquisitions by domestic investors on the country’s primary development goals, such as food security, poverty reduction and employment, are not yet clear, though some trends appear to be emerging. We consider future research questions that may more fully shed light on the implications of policies that would continue to promote land acquisitions by medium-scale farms. Note: This is an open access article distributed under the Creative Commons Attribution License (CC BY) which permits unrestricted use, distribution, and reproduction in any medium, provided the original work is properly cited. 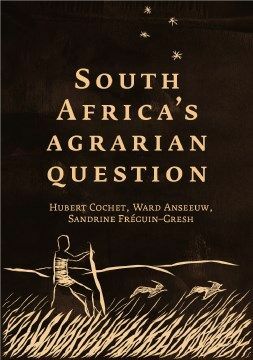 Based on an in-depth analysis of several contrasting agricultural regions, this book aims to assess South Africa’s ongoing agrarian reform and the country’s agrarian dynamics. The conclusion is without doubt: 20 years after the first democratic elections, the country’s land pattern remains almost unchanged, and primary agriculture and its broader value-chains are more concentrated than ever. Without fundamentally questioning the highly specialised, fossil energy and synthetic input dependent, oligopolistic entrepreneurial agricultural production model, which is presently structuring the sector and is guiding the reforms, a more equitable redistribution of resources and value-addition will by no means be possible. 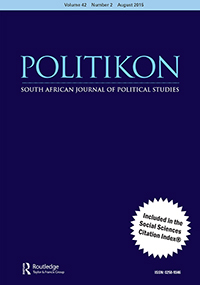 Abstract: With its ‘ecological reserve’, South African National Water Act of 1998 is perceived as one of the most ambitious Water Acts in the world from an environmental perspective. At first sight, this ‘ecological reserve’ provision could be mistaken for a typical case of North–South policy transfer when actually it was initially engineered by the Department of Water Affairs and its civil engineers in the 1970s–1980s. The paper shows the renewed influence of the scientific community over the definition of the concept during the debate leading to the adoption of the Water Reform Act in the mid-1990s. While investing in the international arena, South African hydro-ecologists managed to reinforce their position in the domestic arena at the same time. Therefore, we demonstrate complex interdependence between domestic and international levels benefiting this travelling concept. Finally, we emphasize that for hydroecologists, the international arena was never a resource already there but an opportunity created.